That is Aaron Safronoff's "Sunborn Rising": Intriguing characters with believable and grounded relationships despite being in a fantastical world; a beautiful and well-developed world; and awesome characters designs. What more can you ask for in a book? There is adventure, tragedy, and mystery aplenty in this show, so it’s not all flashy action set pieces, I assure you. Stranger things is a creepy, sci-fi show revolving around a supernatural mystery you can’t help but try to wrap your head around. 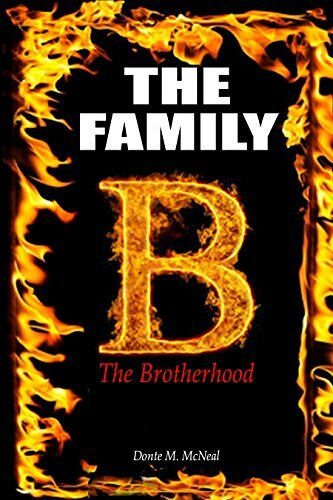 The Family began as a passion project for me years ago, and has since evolved into the full-fledged novel that it is now. It was the first thing that I wrote seriously, thanks to the encouragement that I received from my family and close friends, who constantly urged me to continue writing, no matter how discouraged I got with myself. In the case of The Spark Form Chronicles, I took my queues for the card based battle system from a combination of Yu-Gi-Oh! and my love of collectible card games in general, though I made sure that the actual card game rules that I used were unique to the world. The way the book switches from viewpoint to viewpoint and spreads itself over a pretty large cast was influenced by a mix of the anime Durarara! and George R.R. Martin’s Song of Ice and Fire. The underlying theme of AIs and technology is something that seeped in from the aforementioned Ghost in the Shell series. The biggest anime influence though was undoubtedly Digimon Tamers. Aside from being my favourite series from my favourite franchise, it covers a lot of similar themes: the question of whether a digital non-human can be alive or whether they’re just an artificial construct with no real life value, humans bonding with said entities, using cards to carry out battles, the long term effects of trauma (especially in children) … it’s all there, but covered differently. The whole point was to have this terrifying, almost impossible ordeal for this character to make his way through using his wits, courage, and abilities. It stifles the fun and creativity when the character is nearly almighty or has an almighty ability to get them out of everything. I just wanted Sam to be someone that we all know and maybe someone that many of us are. He is skilled, but he's not the best, because all his life he's had other priorities. But now he wants to be the best because of the nature of the game. For a story like this, I think that relatability is key because you're mostly with Sam. Jul 20 The Countdown Begins!